The FTC shuts down sleazy debt collectors and forces them to refund money falsely collected by them. A settlement was reached with Asset and Capital Management Group to refund nearly $4 million dollars to those that were scammed into paying debts that they did not owe. The company threatened consumers with lawsuits, garnishment and threatened to take their property in order to secure payments on debts not owed. This is a victory for consumers and takes another bogus debt collector out of operation. 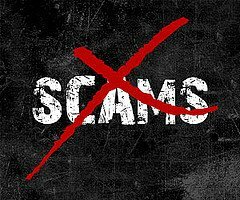 If anyone contacts you and threatens a lawsuit or states that they are sending someone to your door or to your place of employment to collect a debt due know that they are likely a scammer. No one can garnish your wages or your bank account – besides the federal government and they do not call you – without winning a judgment against you. To win a judgment against you the creditor has to file a complaint in a court of law and win on said complaint. Do not respond to such threats. However, if you have debt that is hanging out there and is causing you to lose sleep or worry about collectors then contact the Moseman Law Office, LLC to discuss your options to legitimately get out of debt. Information from the Cleveland Plain Dealer July 19, 2015.